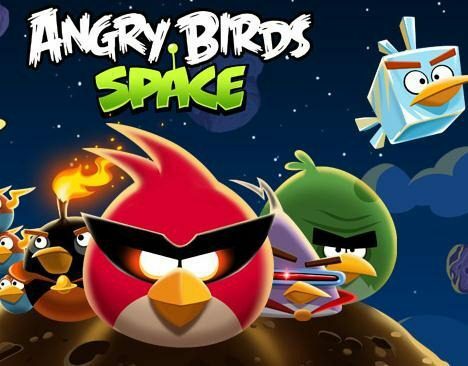 Angry Birds are now in space. We first told you they were headed into orbit earlier this month, when astronaut Don Pettit introduced us to the game from the International Space Station (ISS). The app, the next in the series of the super popular Angry Birds game apps, launched today. It’s a new take on the well known game. The Birds, angry over the theft of their eggs by little green pigs are on the attack. Only this time, the familiar arc they are shot in does not apply. There’s no gravity in the emptiness of space. However, the Birds are affecting by the gravity of planetary bodies when they are near. Unexpected, but not totally unpredictable, results ensue. Hmmm… now that they are in space, the ‘green-ness’ of the pigs seems somewhat fitting – did the developers have space in mind from the beginning? Angry Birds In Space is available for Apple, Android, PC, and Mac computers and devices. For the Mac, the game is $4.99 and available through iTunes. For the PC, it’s $5.95 and available through AngryBirds.com. For the iPhone, iPad, and iPod Touch, it’s here on iTunes for 99 cents. For the new iPad – in high def – it’s $2.99 on iTunes. For the Nook, it’s $2.99 from B&N. For the Amazon Kindle Fire, the cost is $2.99 through Amazon. And Android users get it free – though ‘ad supported’ – from the new Google Play store.